Back of the Cereal Box: Frequently Asked Questions About Smash Bros. Someone recently pointed out to me that the new Smash Bros. at its most frantic looks to lifelong gamers the way early home console video games must have looked to our parents: a boggling flurry of colors and shapes that just doesn’t make any sense. It’s true. In spite of a life playing video games, I still feel my eyes glazing over when I play Smash Bros. Suddenly, I’m watching someone else’s character as I calmly trot my guy off a ledge. Here, then, are the frequeenly asked questions about Smash Bros., based off a grow play session comprised of people who grew up playing video games but still could not keep up. Why did I just die? 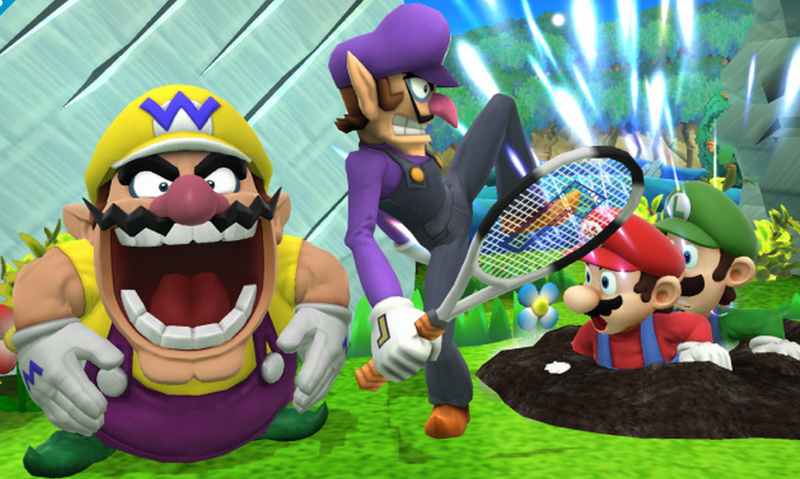 Wait, why did they make it so Wario could be basically identical colors to Mario? How is that fair? What did I just do? Am I winning? Is Pac-Man still a thing? Can you play as Rampage? Can you play as Dixie Kong? Can you play as Ms. Pac-Man? Why are there two Kirbys? Why did my Kirby just fall asleep? Why didn’t I know that Nintendo owns Pokémon? Why can’t I ride Yoshi? Wait, are all my lives gone? Closing thought: Video games have given us an opportunity to speak the sentence “I died” heretofore unseen in human history. I think Nintendo has always owned Pokémon, but there are characters in the game they don't own, like Pac-Man and Mega Man.